Australia plays a significant role in international education and is the third most popular country in which to study, behind the United States of America and the United Kingdom. 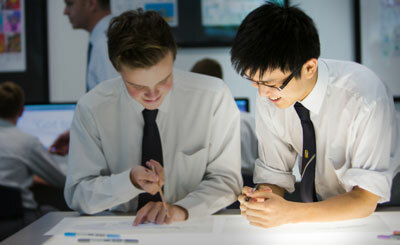 Students choose Australia not only for its quality of education but also for its diversity of educational and cultural experiences, the integrity of its qualifications, and its reputation for a safe and friendly environment. International education is Australia’s third largest export industry. Total export income generated by all international education activity in 2017-18 was $32.4 billion. School students are a small proportion of the total number of international students in Australia, accounting for just over 4.3 per cent ($1.3 billion) of the total export income from international education in 2017 and 3.2 per cent of the total number of international students studying in Australia. In 2018 total international student enrolments reached their highest point ever with 876,399 enrolments, growing by 10.1% over 2017. School sector enrolments grew by 4.4% over the same period to 26,801 enrolments although non-government sector enrolment growth over this period was 2.8%. Non-government school enrol just under 36% of international students in the school sector. Just over 7,760 overseas students, approximately 30 per cent of international school students in Australia, were enrolled in Independent schools in 2018. The majority of international students in Independent schools – 85 per cent – are in the secondary years, with senior secondary accounting for the majority of enrolments. The remaining 15 per cent are in primary schools. The major source country for the non-government school sector is China, accounting for approximately 50 per cent of total enrolments in the sector in 2018. Together Hong-Kong, Vietnam, South Korea and Papua New Guinea account for a further 20 per cent of the total. International student enrolments in the non-government school sector – Top 10 source countries, 2018. Note: This data covers student visa holders only. International student enrolments in schools had been growing fairly steadily until 2009. This marked the beginning of a downturn across all sectors of education. The decline was due to a range of factors including the strength of the Australian dollar, changing visa arrangements, quality issues associated with some providers in some education sectors and changes in the relative attractiveness of competitor countries. The decline in international student enrolments in the schools sector was most significant in the non-government schools sector. However Australia’s education system is well regarded, and the assurance of its quality, underpinned by the Australian Qualifications Framework, ensures that Australia remains an attractive study destination and 2018 data shows that enrolments and commencements across all sectors of education are continuing to grow growing in 2018. The 2018 data from the Commonwealth Department of Education and Training shows continued growth in commencements of 5.4% in the schools sector, including 2.8% growth in commencements in the non-government school sector.